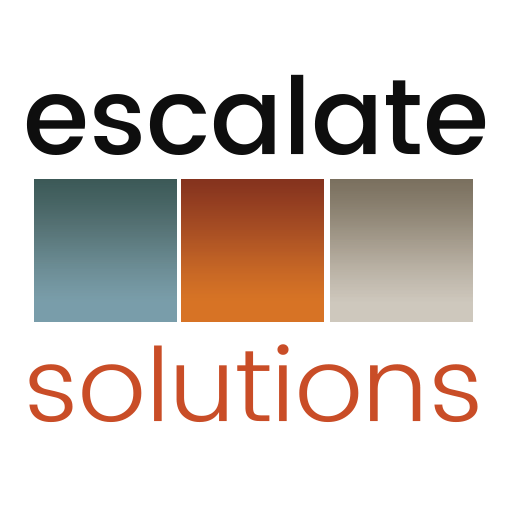 Escalate Solutions CEO Kimberly Arnold offers a diverse skill set and exposure to a vast number of industries, which makes her an ideal honorary judge for high-profile business related events. Two recent examples of Kimberly’s contributions to such organizations and competitions, completed for UPS and Millennial Week/The Denver Post, are featured below. Kimberly Arnold was recently asked to contribute as a judge for the UPS X-Port Challenge hosted at the Dallas Cowboys World Headquarters (The Star) in Dallas, TX October 29-31, 2016. 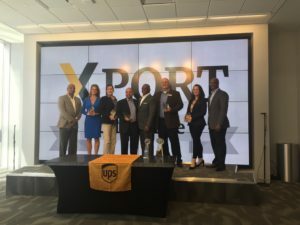 The X-PORT Challenge is an ongoing national initiative organized by global shipping leader UPS to promote organizations with international growth aspirations. Kimberly was asked to offer her strategic growth expertise as a judge for the 2016 regional awards for businesses in the Colorado, Arizona, Utah, New Mexico, Texas and Oklahoma markets. Applicants throughout the six state region – all existing businesses looking to expand their operations on an international level – submitted a strategic plan for expansion that was originally assessed by a group of senior marketing and operations executives at UPS. 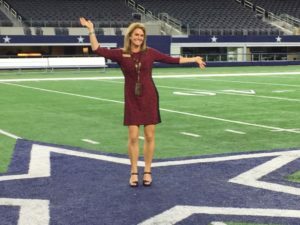 That team narrowed the pool of candidates to a list of Top 10 applicants, who along with the finalist judges were invited to a one-of-a-kind “Pitch Off” event at the Dallas Cowboys World Headquarters. Kimberly was one of several individuals invited to provide feedback and rankings as each finalist presented their international growth strategy. Three winners were selected based on their international appeal and execution strategy. Additional judges included senior executives from UPS, the Dallas Cowboys, Global Chamber (Dallas), Texas A&M Business School and Colorado-based Innosphere. Also in 2016, Kimberly was engaged by The Denver Post and Millennial Week Denver (2016) as an honorary judge for the 2016 Millennial Week 80/95 Awards presented in association with the Millennial Week conference (and hosted by signature sponsors The Denver Post and Wells Fargo). StartUp of the Year – Watch your back, Silicon Valley. Denver has become a major hub for technology and innovation. This category recognized a startup having a Founder, or at least half of all CoFounders, born between 1980-1995. Small Business of the Year – Denver topped Forbes’ 2015 list of the Best Places for Businesses. This category recognized a small business having an Owner, or at least half of all Co-Owners, born between 1980-1995. Denver Trailblazer – Denver is an attractive destination for Millennials disrupting industries and making their mark. This category recognized a young professional born between 1980-1995 that is blazing a trail in their industry. Innovator of the Year – From launching the latest app, to driving the development of major brands, Millennials are pushing the envelope both in and outside of corporate America. This category recognized an individual born between 1980-1995 that has created a business, startup, product or service that is impacting Denver. Denver ChangeMaker of the Year – From swaying elections to redefining civil rights, Millennials do more than take selfies. This category recognized an individual born between 1980-1995 that is working to make positive change in the Denver community and abroad. Most Innovative Workplace – Fostering innovation and creativity is valuable to Millennial employees and entrepreneurs. This award recognized a Company, Coworking space or Business Incubator creating an environment where people do incredible work. Best Company for Millennials – An increasing number of companies are choosing Denver as the site to launch or relocate. A thriving workforce is critical to their success. This award recognized an organization or company providing mentorship and programs aimed at developing young professionals. Leading Lifestyle & Culture – Vibrant culture and lifestyle are drawing Millennials to Denver in record numbers. Whether you’re blogging, blending music or curating exhibits, Millennials are helping to shape the city. This award recognized an individual born between 1980-1995 helping define Denver’s presence. 14er of the Year – Whether you’re scaling mountains or tackling slopes, appreciation of the environment is ingrained in Denver’s culture. This award recognized an individual aimed dedicated to preserving Colorado’s environment for the next generation.